WordPress is one of the most popular blogging hosts in the world today. Its easy to start a site and it can be totally free if you don’t mind WordPress being your host. Whether you use them as a host, or have your own website that is WordPress driven, your goal will be the same: to get as many people as possible to see the information that is actually there. People have websites for different reasons. Some want to sell products, others want to convey information, and the remaining users simply want to use it as a type of public diary. But remember that their goal is the same, and that is to get people to come to that site and either engage or interact. This means your site must be optimized, allowing other people to find it through the usual channels, meaning the search engines. Optimizing your WordPress site is about getting organic traffic. So how do you do this? Its a known fact that the average time spent on a website is around three seconds. People take one glance and quickly decide whether or not they are interested at what they see on that particular site. In most cases, they’re not so they simply click on the back button and find another site. You have to make sure, therefore, that your information is presented in the right way, which means keeping it concise. Limit the number of posts presented per page and the number of feeds shown. Around 5 posts is usually a good rule of thumb, but this can vary depending on your typical post length. Similarly, you should make sure that the number of images and other types of media are also limited. If, for whatever reason, your images and media are vital to your content, you should create thumbnails of them instead. People will then be able to click on them if they really want to see them. Another thing that is very important in terms of optimizing your WordPress site is to choose the right theme. WordPress has a number of themes available for you that you can use for free, and some are premium, which means they have to be paid for. You could also decide to hire an external designer to create a theme for you. However, you have to make sure that they know what they are doing, whether you outsource your design or use one provided by WordPress. Choose a design that has been optimized for desktops, tablets and mobile devices. Search engines favor responsive designs as they ensure all pages have the same URL, however adaptive designs that were created specifically for mobile phones can improve a mobile user’s experience considerably. Generally speaking, it’s very hard to discover just how big and heavy someone’s theme is. This is because the demos are heavily cached, which means you don’t actually get the true experience. Various themes on WordPress are several megabytes large and although these may look great, they will also slow the loading of your page down considerably. This isn’t attractive for your visitors, who will be very quick to click the back button or close their tab and go elsewhere. That actually brings us quite neatly to the fact that you may want to look into ways to speed up your WordPress site. Experts agree that slow loading pages also see very slow growth, if any, in their customer database. People have broadband and don’t want to feel as if they’re on dial up anymore, waiting ages for images and other types of media to load. This means that, in order to optimize your site, you need to get your own real user experience and see where improvements could be made. There are various ways to speed up your WordPress site, including using a good host. While starting out, a shared host might seem like a bargain (“Unlimited page views!”), it comes at another price: incredibly slow site speed and frequent down time during high traffic periods. The reality, however, is that although you’re more than welcome to find a shared host or stick with WordPress, and that this is often the only available option, particularly for newcomers who are on a tight budget, you’re not really doing yourself any favor. You have to consider the value for money that you get by moving to a proper host, particularly if you intend to monetize on your own site. Paying for a host should see a very quick return on investment, so long as you choose a good one. WordPress has released a number of different plugins that can help you to better optimize your site. Most of these plugins are designed to make sure your user experience is much easier, meaning you don’t have to be a professional web designer to get a good site together. You do, however, have to be quite cautious with which ones you use. WordPress is frequently the victim of various cyber attacks, and hackers tend to use the plugins to gain access to certain areas they shouldn’t be able to reach. One great plugin to have and use is the Dynamic Caching version. 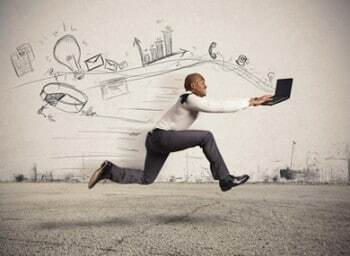 Adding properly configured Dynamic caching to your WordPress site will have great effect on its speed. There are many services like Varnish and APC that can be used as well. These are but a few of the tips to help you properly optimize your WordPress website. One thing to always remember is that content remains king. You can have the best host, the best theme and all the right plugins, but if you don’t have quality content, you may as well not bother at all.